Programs for Students Ages 6 weeks to 5th Grade. Our qualified staff offers a number of separate age group programs so that each student can enjoy their experience at shining stars though fun activities as well as learning. We understand that parents place enormous trust in our ability to care for and educate their children. Each day we earn that trust and at the same time develop the child’s mind and physical skills. 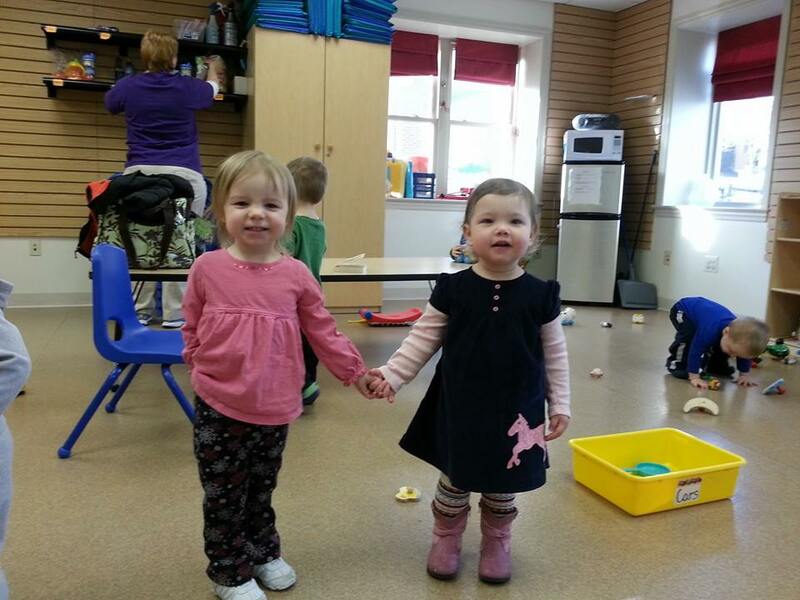 Our Infant program provides a safe loving and nurturing environment. Our focus is attending to the needs of infants. 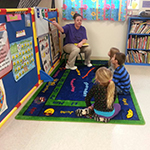 Our goal is to provide a healthy and developmentally appropriate experience. Talking, reading and singing to them is an essential part of this program. 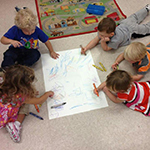 Through developmental play, our infants learn social, emotional and intellectual concepts. Our One’s Program focuses on important emotional and social concepts such as confidence and sharing. We also begin to teach basic learning concepts such as the alphabet and counting. Reading books and singing songs are an important everyday part of this program. 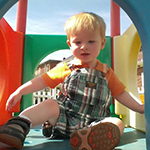 Our toddlers are offered a variety of opportunities to explore their world though play. Gross motor skills and social skills are developed though both structured and unstructured play. Their days are filled with music, art, dance, story times and more. Although it may seem like fun and games to pre-schoolers, the curriculum we follow is packed with educational elements. Games abound that teach pre-reading skills like letter and sound recognition, basic math concepts and hands-on science exploration. Our Kinder-Care Program combines positive learning experiences and meaningful peer interactions. We review concepts already learned and introduce new kindergarten concepts such as letters, letter sounds, reading and counting. Children also given the opportunity to study and work on any homework they may have. Individual tutoring is also available. Our Before-and-After School Program primarily focuses on integrating the child’s elementary school experience with his/her experience here at Shining Stars. Children are given time to study and work on their homework. Tutoring is also available if needed. 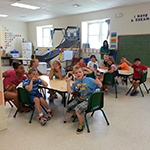 Our Summer Camp Program focuses on reviewing literacy, math, science and social studies. We also focus on introducing concepts that will be taught in the child’s next grade level. We also make daily crafts, play outside and encourage individual choices in play activities. 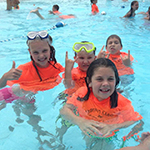 Field trips are also a fun part of our Summer Camp Program.